There can hardly be any argument against the fact that tree stumps can be an unpleasant thing to have on your property and indeed, your neighbour hood. Not only are they an unsightly thing to witness,but they also pose a danger to children and pets. While it is always a good idea to cut down a large tree that you think is not adding any aesthetic value to your property, leaving its stump can be a grim reminder, akin to having a carcass of a deceased animal just lying about in your neighbour hood. Fortunately, there are professionals who have the right kind of expertise and the tools required to grind away a tree stump and make it seem like there was never a tree there. These professionals,known as tree surgeons, are always prepared to answer calls and come over to grind away a stump. There are quite a few advantages to this too. 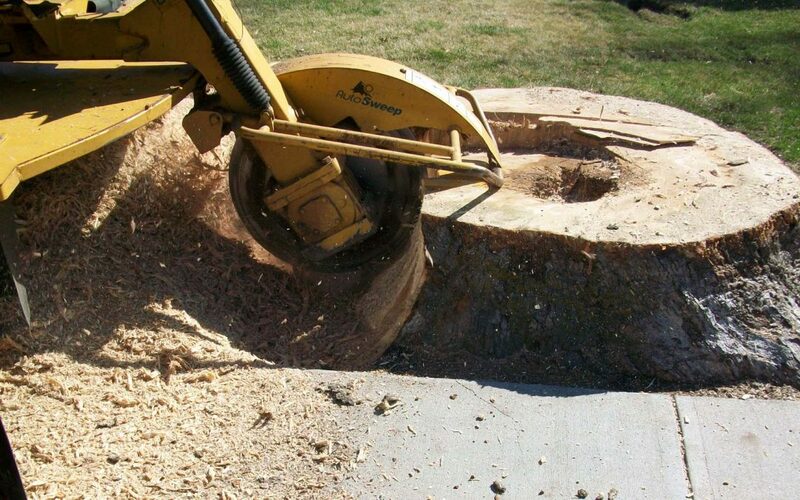 As mentioned earlier, stumps of trees that have been cut down are not a pleasant sight.Discussed below are some of the reasons why you should call in the professional tree surgeons in Guildford for stump grinding. When a tree becomes too old, diseased or damaged by a storm, the only option left for the people caring for it is to cut it down. This process itself takes just about a few hours but it leaves behind a stump. For the stump itself, you can choose to remove it by using certain chemicals but this way there can be no telling how long it is going to be before you see results. On the other hand, getting professionals to come and do stump grinding in Guildford can fetch you immediate results and even leaves you with some useful sawdust and a wood chips that you can utilise. If you choose to use chemicals to get rid of the stump on your property, you introduce unnecessary elements into the environment. This is not a risk worth taking on your part. Alternatively,getting the experts who specialise in tree surgery in Guildford can result in them using the appropriate machinery needed to go as deep inside the ground as you want and remove the remnants of the tree for good. Rather than using chemicals, grinding the stump away is definitely the environmentally correct choice. Another thing about getting stumps ground is that you get the opportunity to start all over with your decorating your garden. You can plan from the beginning and give your garden the kind of look you have always wanted. If nothing else, you can at least be happy about the fact that grass can begin to grow from where the stump used to be. As you can see, the benefits of stump grinding are numerous and undeniable. If you have a stump on your property that needs to be ground, call in the professionals without delay.